Test our Premium plan 30 days free. No strings attached. 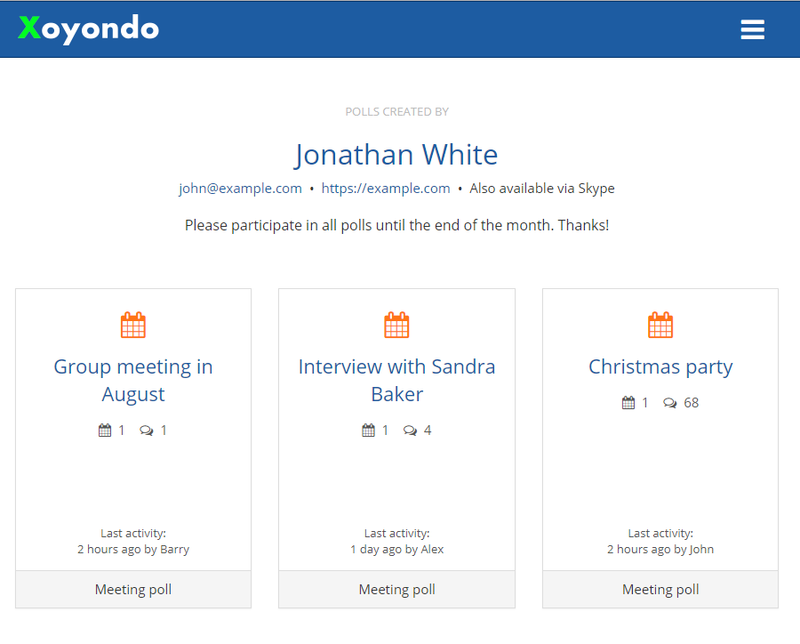 Collect additional information from your participants when they vote in your poll. You have complete flexibility which information you can request. Sort the polls in your Dashboard (e.g. by last activity or number of participants). Move polls to your personal archive if they are not needed. Sort your polls alphabetically by participants' name or by availability at a certain date. You can furthermore filter the table rows and display only certain participants.